Jared McIntyre lived through loving and the death of one thrill-seeking woman, and wasn’t about to let that happen again. Especially not to Lacey. But that would mean he’d have to allow himself to love again. Which will it be, a life-long dream, or the love of a lifetime? Brett Wallis has fallen hard for the quiet, competent woman who landed at his ranch when he was making it into a dude ranch. But will he be able to choose between Melanie or the ranch when he discovers the truth behind her secrecy? Computer geek Ruby Cutter feels like a fish out of water with a makeover her cousin put her through for the bachelorette party and wedding. The only reason she went along with it…her high school crush will be at the wedding. She’d fantasized for years over him and plans to make him see her. 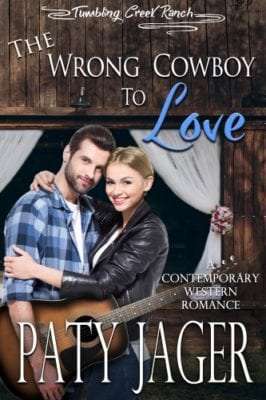 Dillon Wallis is minding his own business getting ready for a gig at a bar when a tipsy, blonde who is with a bachelorette party and doesn’t realize she’s gorgeous, tumbles into his arms and captures his heart. The only problem…she’s in love with his cousin.